Oven-fried, tender-crispy chicken wings with an addictive blast of that unmistakable tangy, sweet heat of Filipino adobo, kicked up to new levels of fiery frizzle sizzle. 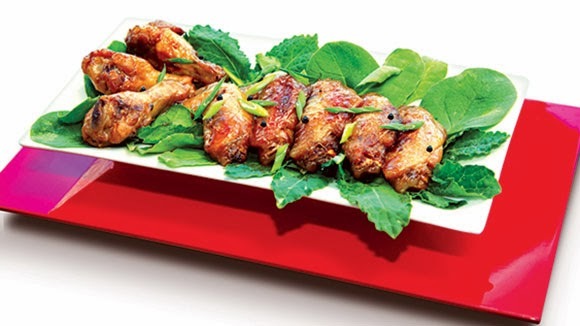 The adobo-seasoned chicken wings in this recipe from McCormick are baked, not fried. 2. Rinse wings and drumettes and pat dry. 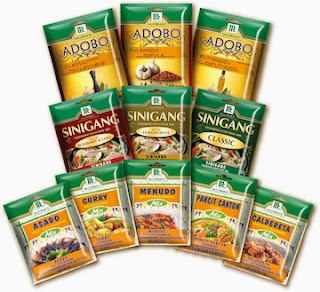 Mix ½ package of McCormick Adobo Classic Seasoning Mix, 1 tbsp Billy Bee Honey and vegetable oil in a large bowl. Toss wings in adobo mixture. 3. Position wings on a parchment lined baking trays in a single layer, ensuring that wings are not touching. Bake, rotating trays half-way through, until internal temperature reaches 165°F (74°C), 45-50 minutes. 4. While the wings are baking, whisk the remaining ½ package of McCormick Adobo Classic Seasoning Mix, chicken stock and remaining 2 tbsp Billy Bee Honey in a small saucepan over medium heat. Cook until adobo sauce reduces by half and thickens, 15-20 minutes. 5. Remove wings from oven and transfer to a large bowl. Drizzle wings with sauce, tossing until well coated. Sprinkle with green onions and enjoy! !